Please sign our petition to ensure this doesn’t happen again. 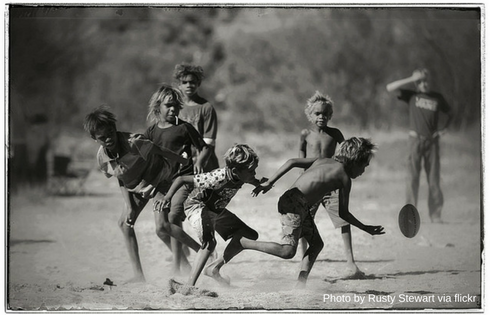 Too many Aboriginal children across the country have not been afforded that treatment, respect and dignity. States and Territories around the country are also locking up Aboriginal kids at extraordinary rates (26 times that of other Australian children), and similar cases of mistreatment and abuse have been reported in Queensland, NSW, Western Australia, Victoria, and the ACT. We’ll be releasing an open statement, along with our partners from the Change the Record Campaign, this coming Monday signed by 100 organisations seeking national leadership involving a nationally coordinated response from government. We’ll continue to push this issue with the release of our National Youth Justice Action Plan on the 27th November. In the meantime, we need as many people as possible to sign the petition to show government that the Australian public no longer accepts locking up Aboriginal kids at 26 times the rate of other kids and treating them appallingly, locked up in jails. We can’t let this Royal Commission be yet another inquiry that gathers dust on the shelves. Stand with us to help give the Royal Commission recommendations the best chance of success. I’m sure you agree that we can’t let another generation of young Aboriginal and Torres Strait Islander people be let down and robbed of a future. We will keep you informed of the next steps on this journey, and ways that you might be able to support progress on this issue.